In spite of high recidivism rates in the US and against all the odds, Universal Beyond Bars (UBB) has been helping to recover people from this lifestyle. Through the donations of the congregants of The Universal Church, over 12,700 Bibles were donated to inmates only in 2017. The power of God goes beyond bars and can transform any life regardless of the circumstances. UBB reaches out to inmates by visiting them in prison and providing guidance, spiritual and emotional support. In many locations worldwide, it conducts meetings inside of the jail, where inmates hear a word of faith, and many decide to begin a new life. It also reaches out to the family of prisoners, who also live in captivity due to the emotional distress they face and the uncertainty of what the future holds. 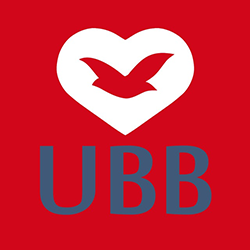 If you want to know more about the work of UBB in your area, visit The Universal Church near you and speak with the pastor.